Two fantastic things happened yesterday. 1. The Colts won. & 2. 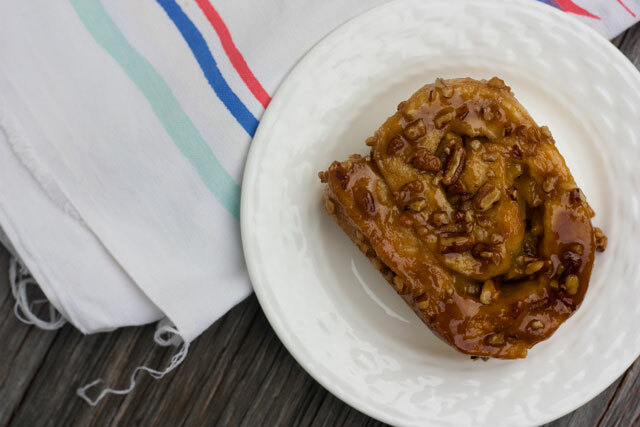 I made these ooey gooey caramel apple sticky rolls with pecans. I love this recipe because it doesn't have yeast in it. There's no proofing involved. No rising. Just some flour, butter, buttermilk, and vanilla combined in a mixer. Knead it a couple of times and the dough is done. It's as easy as that. We'll just not talk about the amount of butter required for this recipe, okay? Paula Deen would be proud. My diet? Not so much. These are worth it though. Serve them for breakfast or brunch. Your guests will be glad you did. I bet you would even get 100 bonus points if you served them with bacon and coffee. Preheat oven to 400*F. Prepare a 9x9" pan (with a raised edge at least 2" high) with cooking spray. 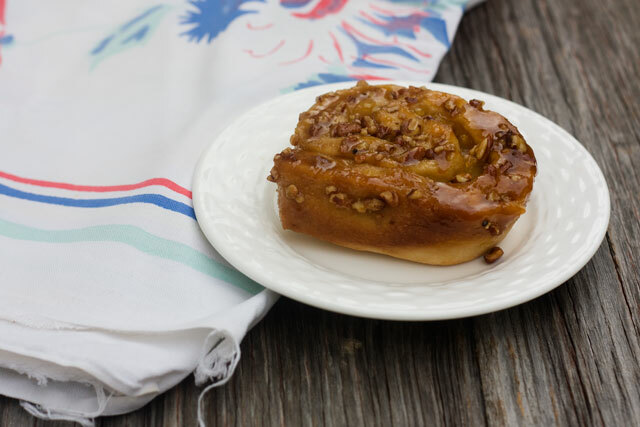 Combine melted butter, brown sugar, and chopped pecans for the topping and pour into the prepared pan. Set aside. In a stand mixer, combine flour, sugar, baking powder, baking soda, and salt. Slowly stir in the buttermilk, butter, and vanilla until fully combined. The dough will be fairly sticky. Turn the dough out onto a lightly floured surface and knead 3-4 times. Then pat into a 9x12" rectangle. Cover the rectangle with the melted butter, brown sugar, and diced apples. Roll into a log, starting with the long edge. Cut one inch slices and arrange in the prepared pan. Bake at 400*F for 22-25 minutes. Once the rolls are out of the oven, immediately invert the pan onto a serving tray and let sit for 15-30 seconds to let the rest of the topping fall out of the pan. Remove the pan from the tray and serve immediately. Hi I'm new to your blog, and I love it!!! That looks so yummi!! !